Ailsa has the most amazing photo on her site as part of her Sky theme. The one of Bonneville Salt Flats, have a look, I’m sure you’ll like it too. While you’re there, think about joining her challenge this week, everyone has good sky photos! This is a local one taken on Dartmoor a few years ago. 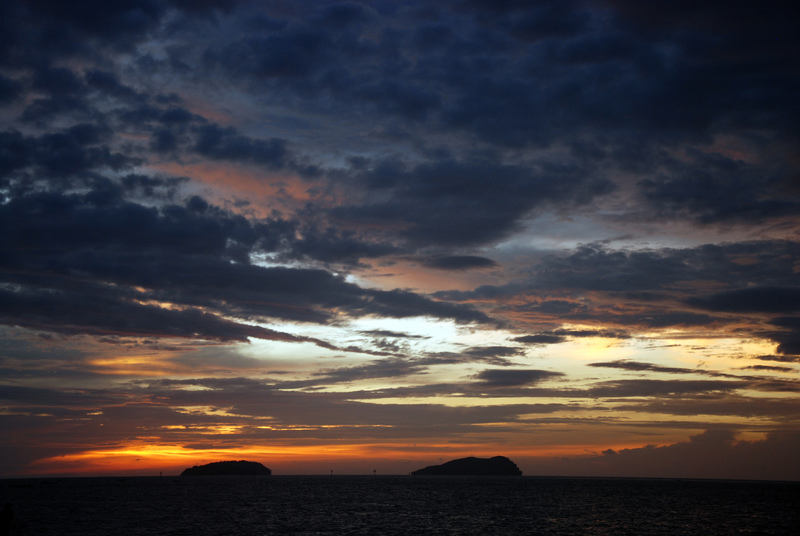 The sun going down over Tunku Abdul Raman Park – the islands off of Kota Kinabalu. Looking through the sky down to the Alps somewhere over northern Italy. 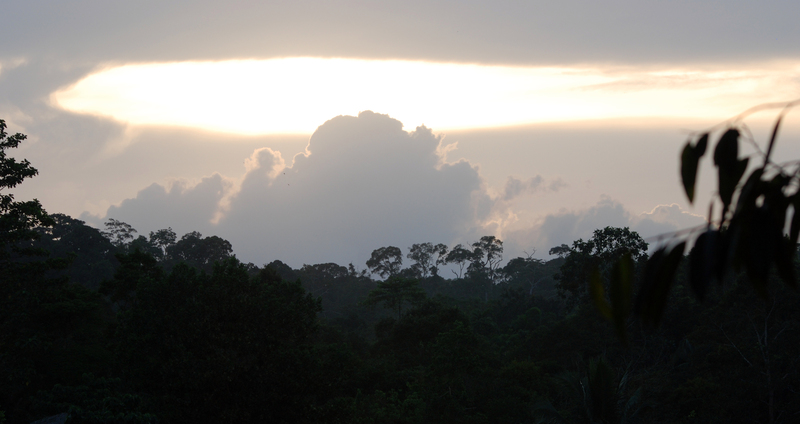 This one is on Borneo, I think the cloud is ascending through a hole in the sky. Footnote: My photo of the pink sky on Dartmoor has been taken by Reddit and they have removed my url and replaced it with theirs. It was high ranking on a search for sky. The end result is that it still ranks quite highly but leads to a page that I’m not connected to instead of mine. I can’t find a way to contact them to complain. 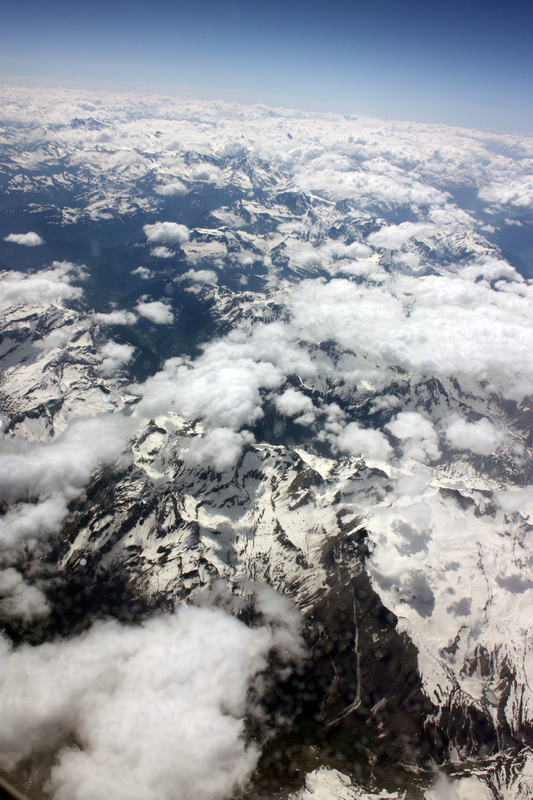 “Looking through the sky down to the Alps somewhere over northern Italy…” is a great shot! You must be an angel, looking down to Africa, Italy, UK and the islands off of Kota Kinabalu! What Frizztext said.. you must be an angel.. these are beautiful photos.. like you. Absolutely lovely shots, Gilly – especially of the Alps. Amazing! The Alps and the Borneo shots are both amazing!! Those are my two favorite shots, too. Gilly makes it hard to choose, doesn’t she? The one with Kota Kinabalu has gotta be so arresting to see in person. The Alps photo is so close and clear! I love the pastel tints in this pic! Wonderful photos, especially the one of the Alps! Thank you Alison and Don, happy travels wherever life takes you! TO celebrate FIVE years of blogging at WordPress, I’m re-blogging my most popular post ever, with 10,144 views. It was first posted on 1st December 2013 and one of the images, the pink Dartmoor sky is still on the first page of a google search for sky even now. I’m also about to become lucidgypsy.com . Thank you all for your loyalty, friendship and support, you’re wonderful! Fantastic sky photos, Gilly!! The Alps is a great capture!